Members of the steel construction industry, teachers and career advisors gathered this week at the SteelCon Careers Update 2015 at the Aotea Centre, Auckland. The main focus of the conference was getting more young people interested in the steel construction industry. Competenz Careers Manager Joanne Verry says it was great to see educators and industry having a discussion on this issue. “It’s very exciting to see so many steel construction companies coming together,” Joanne says. A question and answer session with a panel of industry leaders made for a lively debate on career opportunities, the link between employers and training organisations, and how to strengthen the connection between schools and industry. “It’s important that we continue to support the trades industries. 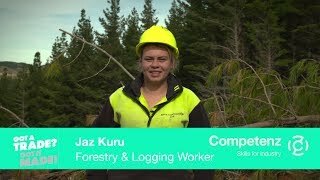 Seeing Industry Training Organisations (ITOs) – like Competenz – supporting industries like steel construction is going to see more young people and potential employees going into these industries,” Joanne says.